With many convenient features to offer the Marina Easy Clean Gravel Cleaner is a practical tool for cleaning and maintaining your aquarium. Its quick-start feature provides a hassle-free start up. 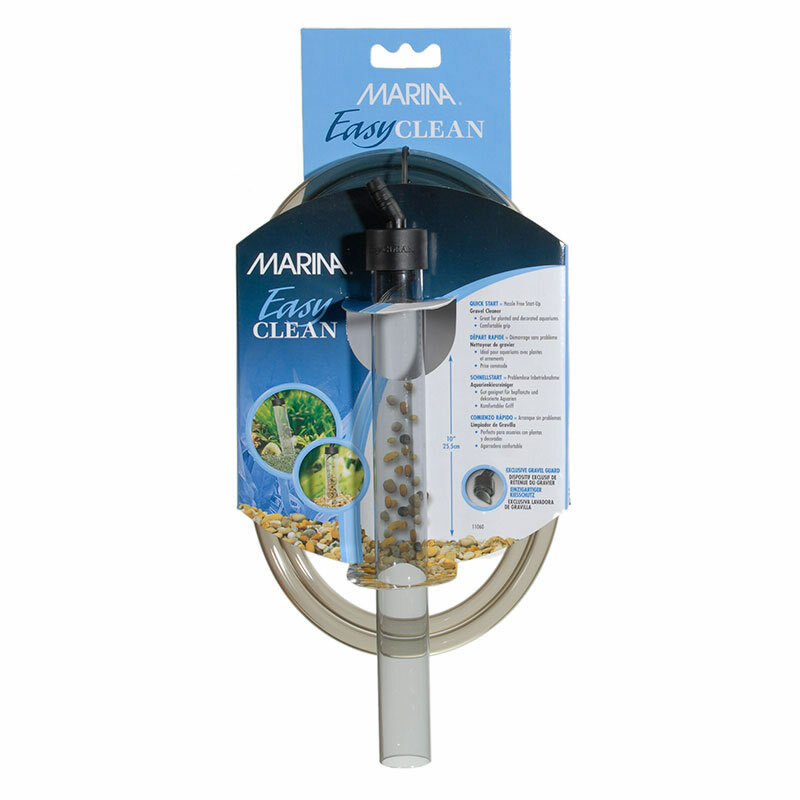 With many convenient features to offer the Marina Easy Clean Gravel Cleaner is a practical tool for cleaning and maintaining your aquarium. Its quick-start feature provides a hassle-free start up. An exclusive gravel guard keeps the gravel in the tank, not in the bucket. An oval-shaped cleaning tube allows easy access to corners. Plus, it has a comfortable grip and non-kink hosing. The gravel cleaner works well in planted and decorated aquariums. Exclusive gravel guard keeps gravel in the tank, and not the bucket.